for the loss-free operation of multi-channel G3 wireless systems. 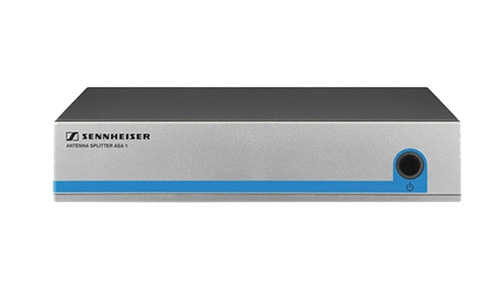 Each ASA 1 can allow up to four ew receivers to share one pair of antennas. Cascading two ASA 1 splitters enables the operation of up to 8-channels of wireless through two antennas. Power is supplied to the connected ew G3 receivers through the BNC antenna cables, eliminating individual power supplies for the receivers. ASA 1 requires a NT 1-1 AC adapter for operation.